Coral reefs are on track to be the first of the world’s ecosystems to be entirely wiped out by humans. 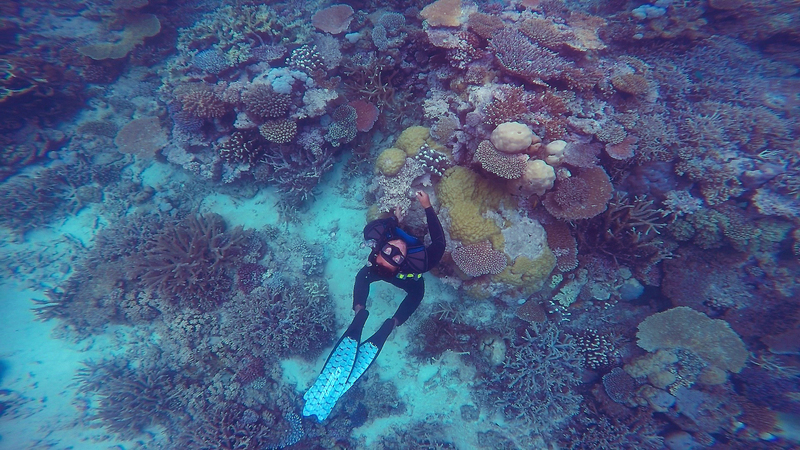 Some scientists estimate that reefs will have disappeared as soon as 2050 – many calculate atmospheric carbon dioxide concentration is already above the levels that will condemn corals to extinction. This surging death toll of coral reefs is one of many chilling statistics to rise to the surface during Chasing Coral, an important new Netflix documentary that has left us feeling even more motivated than ever to do our bit for the planet and encourage responsible travel, renewable energy and sustainable efforts. The chilling documentary is directed Jeff Orlowski’s and narrated by London advertising executive turned coral photographer, Richard Vevers, whom alongside a team of motivated and knowledgeable divers, photographers and scientists all embark on a mission to understand why these coral reefs are disintegrating. “Without a healthy ocean we do not have a healthy planet” – Richard Vevers, coral photographer and producer of Chasing Coral. Vevers photographs some of the world’s most majestic reefs, using specially equipped underwater cameras.. Armed with these visuals, he successfully demonstrates to the public that the coral is dying before our very eyes. 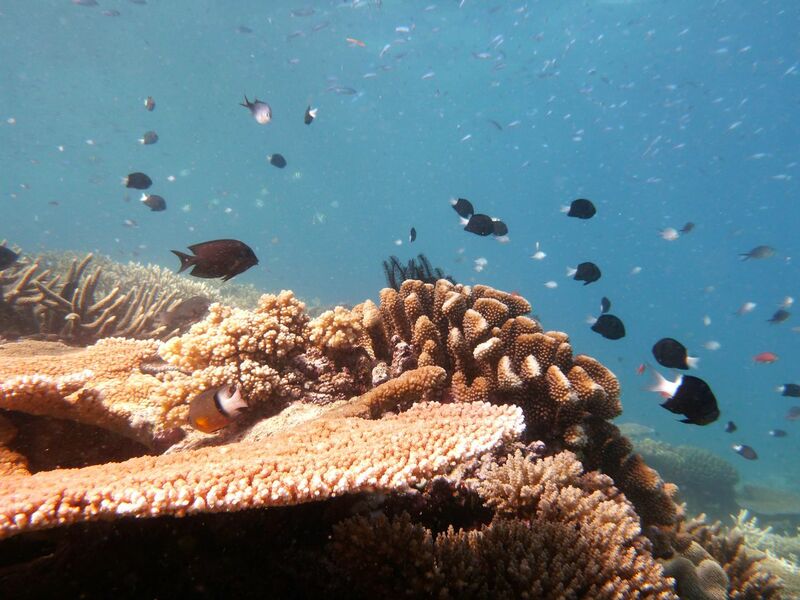 Chasing Coral does a useful job of informing us what coral is and why coral is important, showing how it provides sustenance to fish who then become food for other animals and humans. “Coral is a consortium of organisms that cooperate together, that now manifest in this massive structure that can be seen from space,” – Ruth Gates. One fun fact I learnt watching Chasing Coral is that the fine sandy beaches we love sunbathing and playing volleyball on in Fiji, is essentially made from fish poo! The beautiful white sand beaches and reefs of tropical areas such as Fiji, and around the world exist largely thanks to parrot fish droppings. 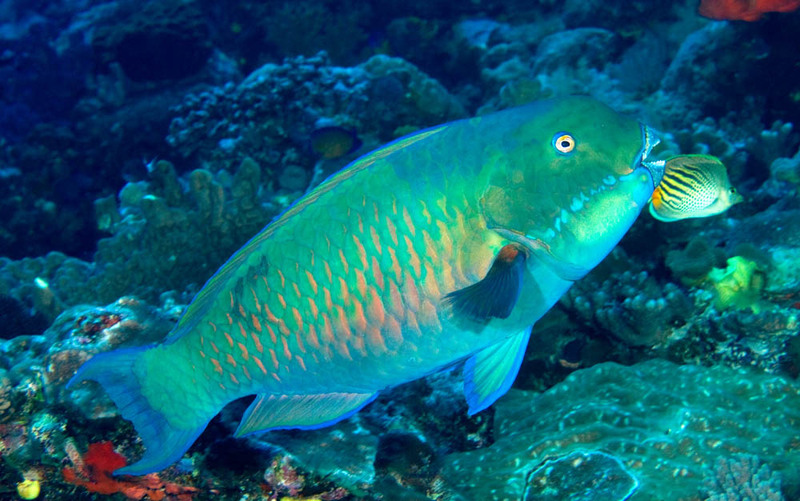 Simply by chewing on reefs, a large Fijian parrotfish can ingest a coral’s calcium carbonate and poop out up to 800 pounds of sand each year! 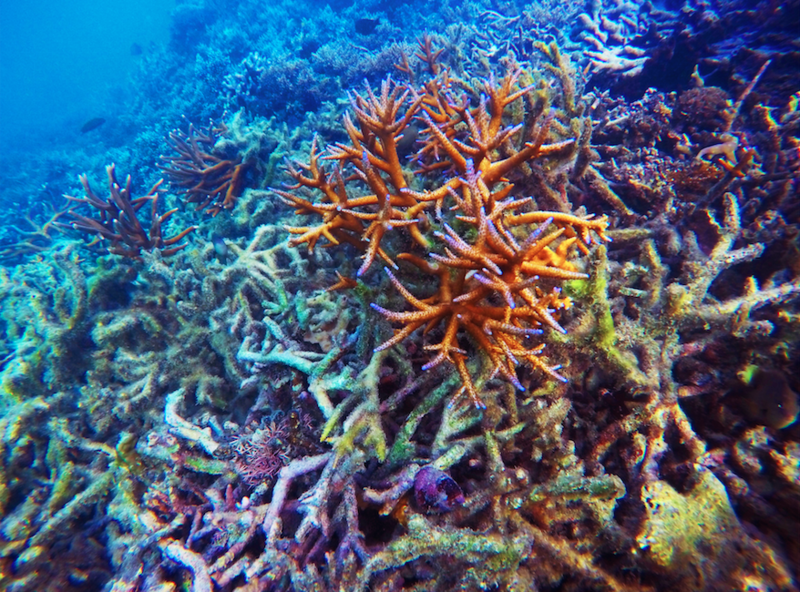 Sadly our corals are going white because the sea is getting warmer – due to climate change. “Coral ‘bleaching’ is the ghastly process whereby reefs turn bone white in the warming waters and begin to moulder.” – Ruth Gates. Here at Island Spirit we talk about coral bleaching often because it is a topic we take very seriously, and we are proud to support and work alongside coral conservation initiatives in Fiji. You can read more about our work here in Fiji, and find out about our range of responsible travel tours. Another incredible fact I learnt from watching this documentary is that corals have learnt to adapt to this rise in sea temperatures, and produce a chemical sunscreen to protect themselves from the heat. This produces the most vivid colours you will ever see! However, sadly, this is their beautiful phase of death and Vevers explains, “it is the corals saying ‘look at me. please notice,’”. The results depicted in Chasing Coral is truly sad and devastating. A temperature increase of just 2 degrees Celsius may not seem like a lot in the air, but for marine life this is like living with a constant fever. Island Spirit believe we can all do our bit to help stop climate change. Act now! Come join our team of coral gardeners in Fiji or team of volunteers in Sri Lanka. “Us humans can only survive if we live in symbiosis with nature.” – Chasing Coral. Coral gardening is a relaxing, effective and critically needed activity to help restore the fragile reefs in Fiji. This recent, mass, global coral bleaching (as documented in Chasing Coral) means this small gesture will go a long way. Please email and get in touch if you are interested in taking part in any of our marine conservation volunteering holidays!